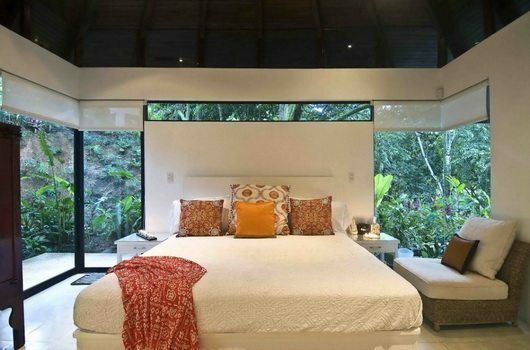 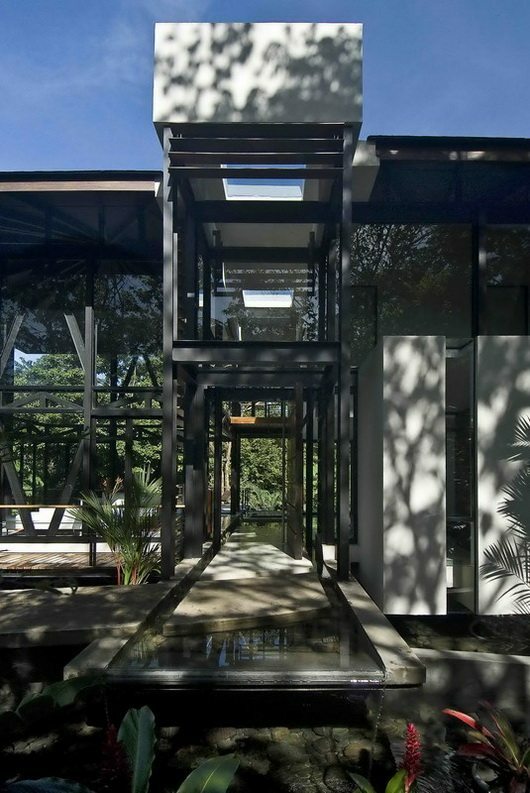 Located in Costa Rica, Central Pacific, the MC1 residence by Robles Architects has been appointed a carefully selected site, out of commitment to the environment. 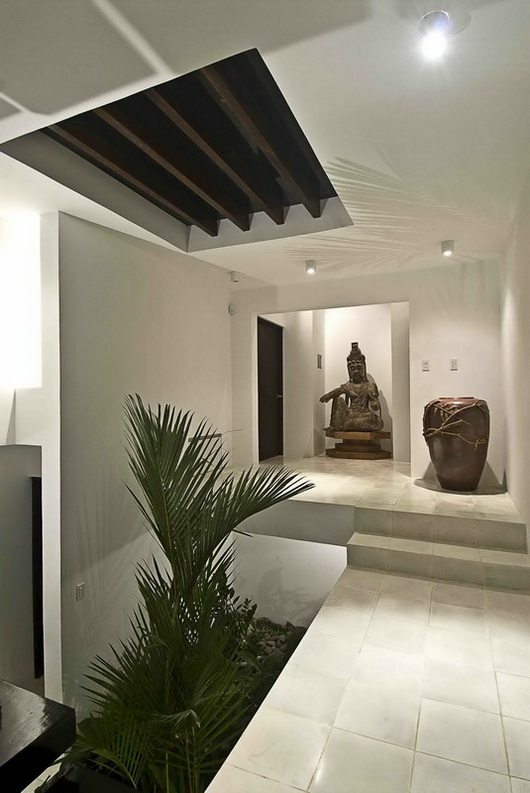 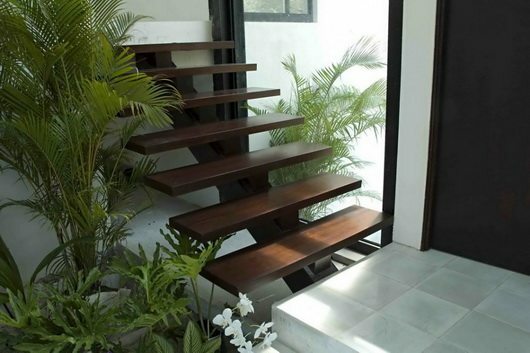 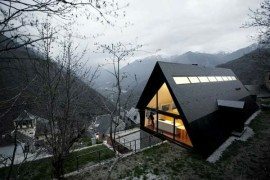 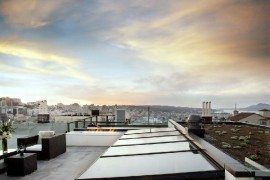 The durable materials support recycling and energy saving, all the while complying with the vernacular architecture. 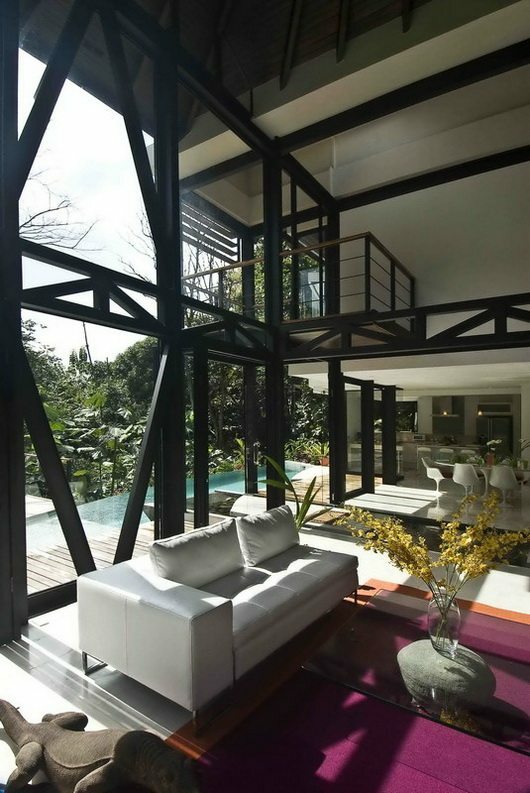 The focal point of this deeply tropical, exotic and light-flooded residence is the grand structure of massive and rustic intertwined pillars and beams. 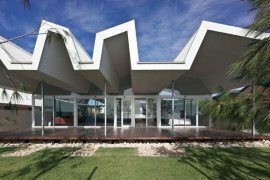 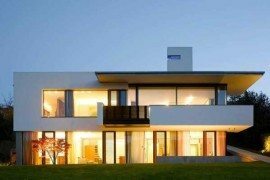 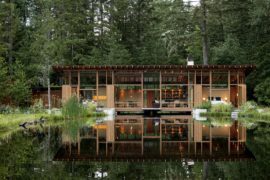 Along with the large glass panels, this bright and airy structure, supporting the wide-eaved wooden roof, encloses the two story atrium-like living room, the core of the house. 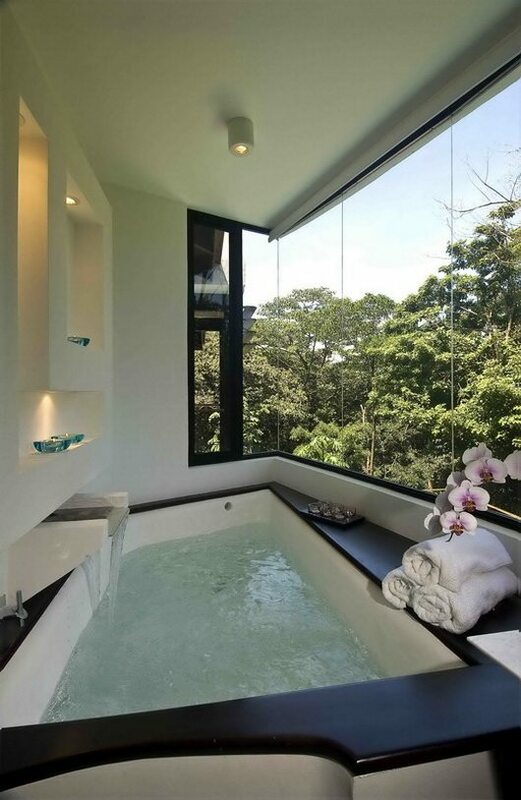 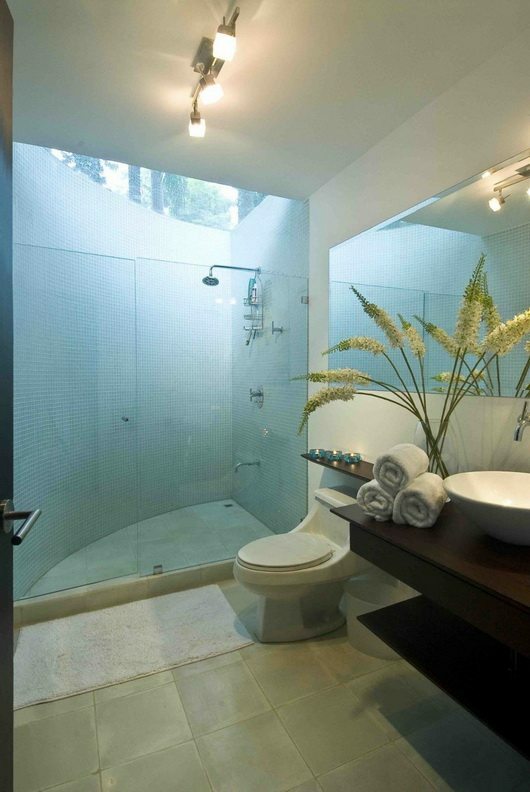 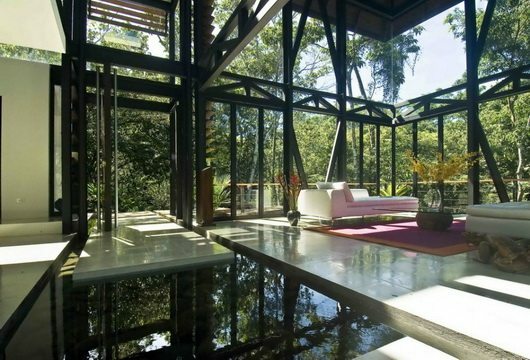 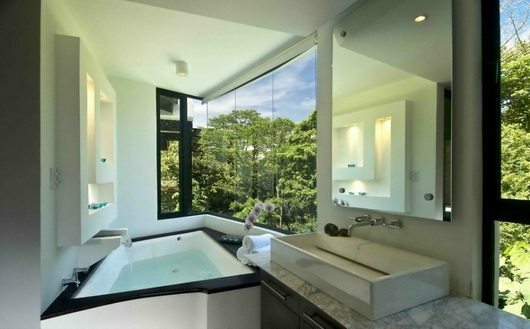 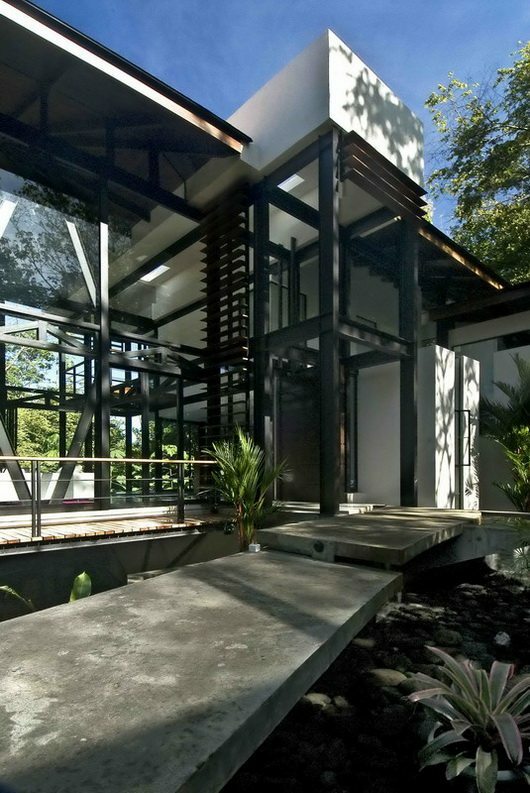 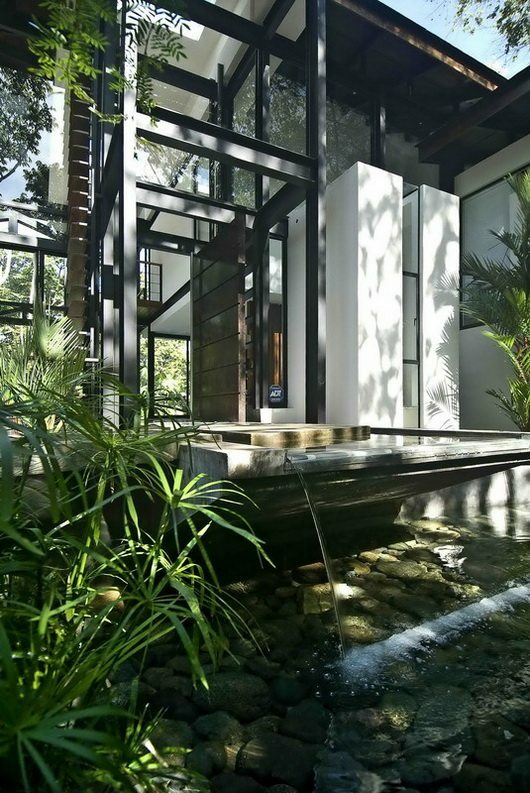 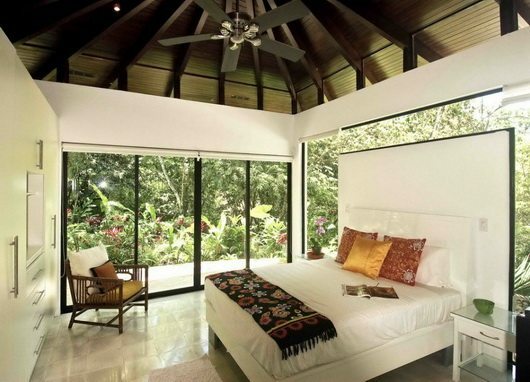 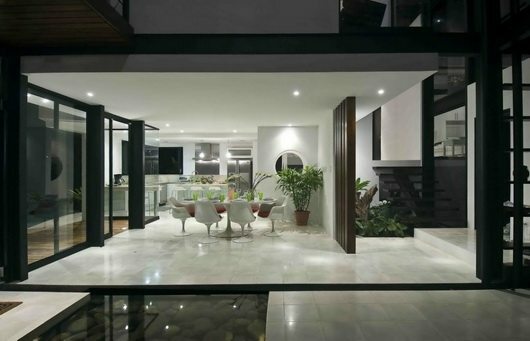 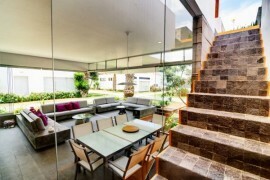 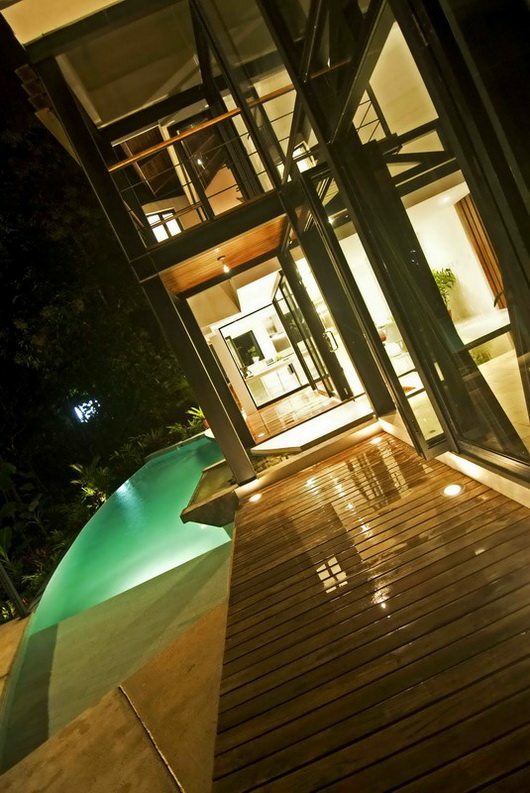 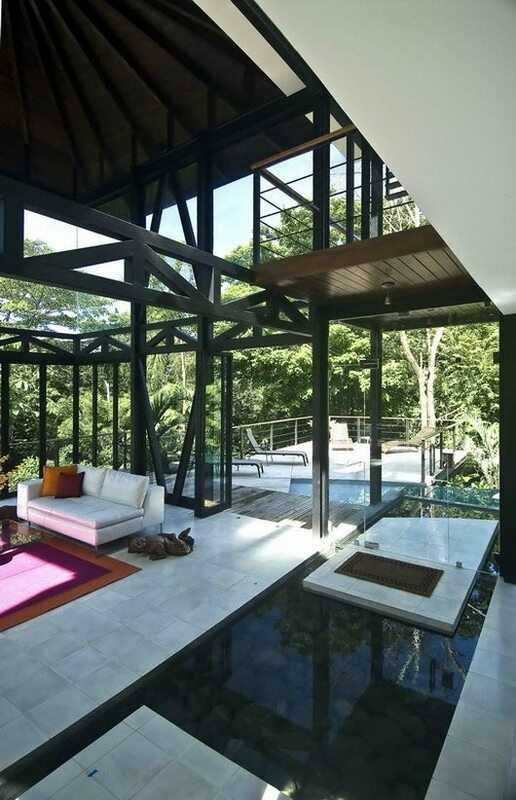 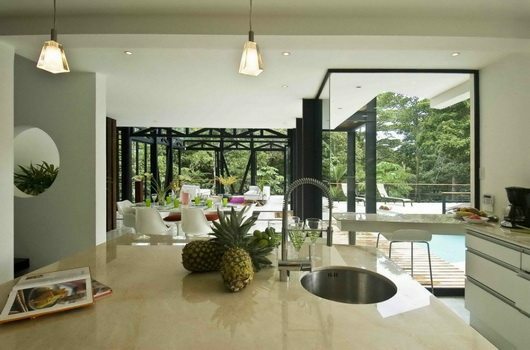 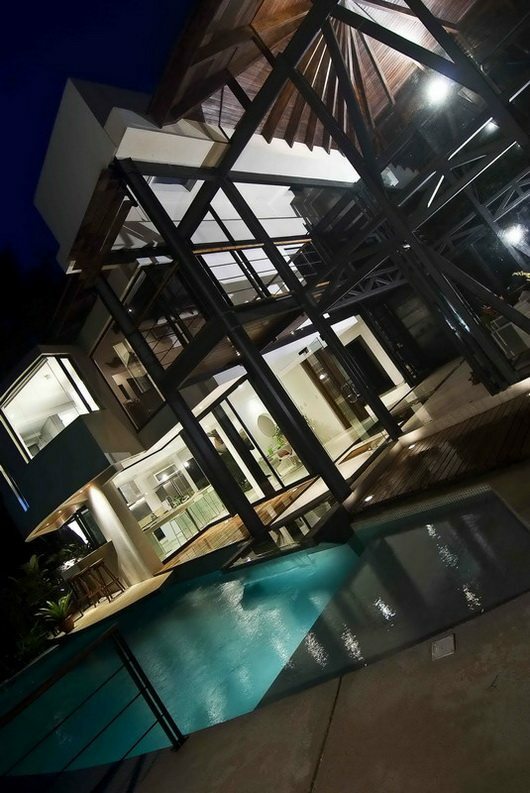 The residence is set in a nest of opulent vegetation wildly casting their shadow play into the glass box living area. 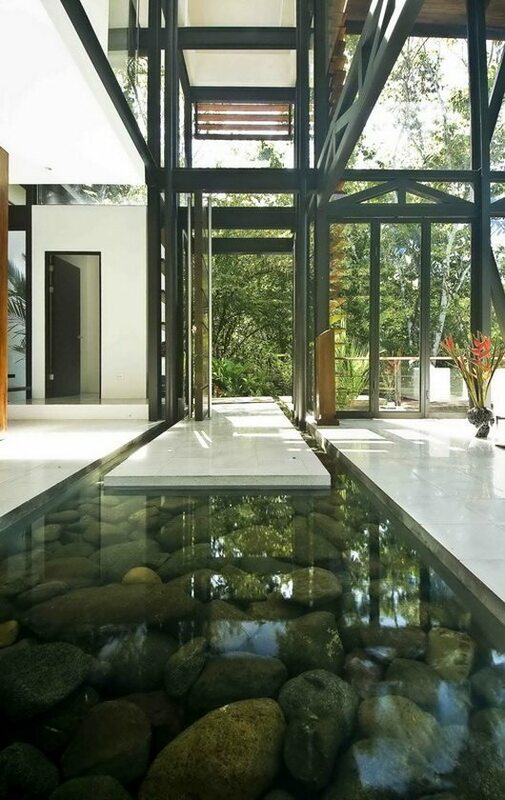 Opening towards the pool, with nature everywhere inside the house and beyond the ethereal glass walls, MC1 is like having one of those tropical sea pavilions in your house and being on a permanent vacation.